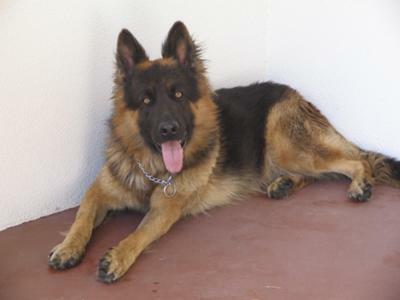 German Shepherd Chopper, Male, 7yrs is so BEAUTIFUL!!!!! It's hard to be so BEAUTIFUL!!!!! Yes, I know I'm really cute! It's all natural! He loves to walk with my husband...they walk 3-4 miles, 5x's a week; should my husband skip a day...Chopper will jump the six foot fence and will wait on the front lawn under our tree or on the porch....he is SPECIAL!!!! 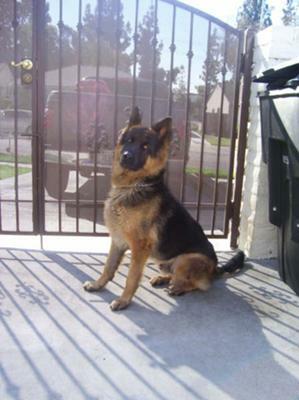 Thanks so much for sharing the story about your handsome little man, Chopper. He is a really good looking young man - and the fact that he can walk that long a distance that many times in a week is truly exceptional. Good luck with your boy - he is beautiful. I truly agree with you on that! 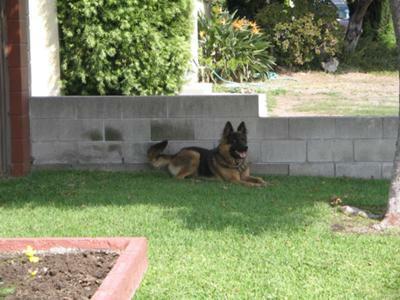 But then I am just a little bit biased when it comes to German Shepherd Dogs and puppies! 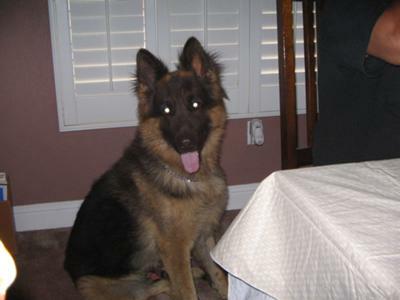 Comments for German Shepherd Chopper, Male, 7yrs is so BEAUTIFUL!!!!! What a Lucky boy you have. Take care of Chopper and he will take care of both of you.